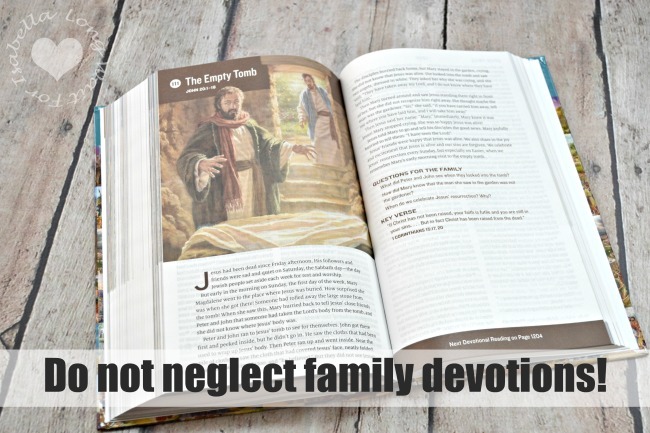 When we neglect our family devotions, you can tell. I’m more impatient, the kids are more unruly, and our home is in a state of chaos and truly less happy. 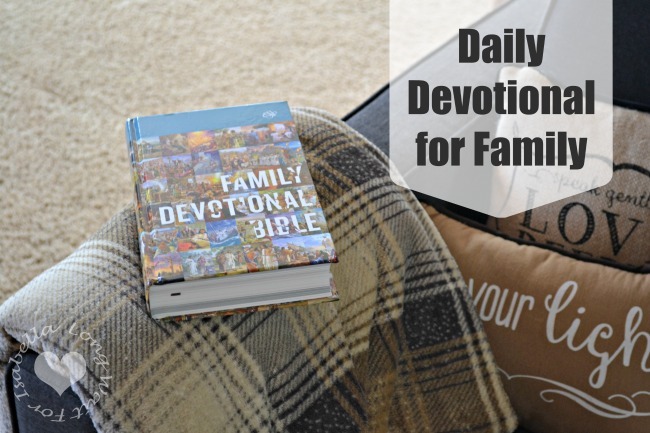 Spending time together with a daily devotional is important to our family. 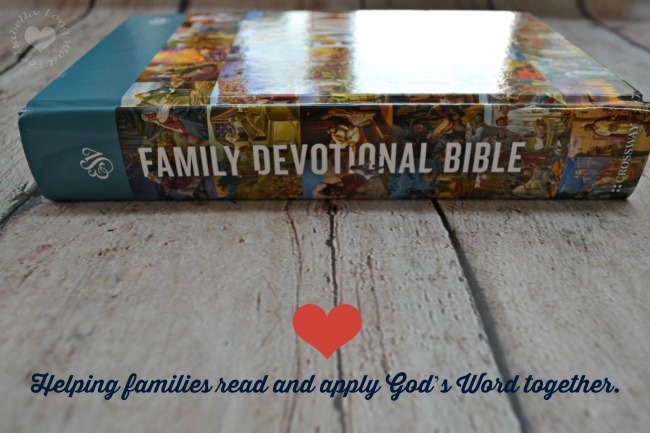 When I was given the chance to review The ESV Family Devotional Bible, I knew that it would be a resource I could use for family devotions for years. Spending time together with a daily devotional is important. I appreciate the English Standard Version of the Bible when doing family devotions. It is a translation that my kids can easily understand. This attractive Bible makes regular exposure to the Bible enjoyable for the kids and my husband and I as well. The full color paintings with each story are all so beautiful and the story is very easy for my young children to understand. As my kids get older they can read the corresponding Bible text as well. You’ll also find questions, key verses, and maps in this awesome Bible. We love it! I highly recommend the ESV Family Devotional Bible. It makes God’s word come even more alive and exciting for the whole family. I totally agree with you! My family really needs devotional time before bed or else my kids can’t sleep. I get cranky irritable, all that stuff. 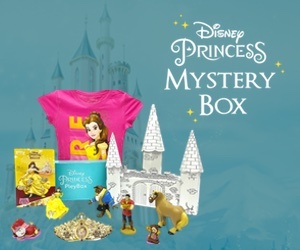 Entered, hope to win! !